The level of the exchanging with electronic invoices in the United Kingdom is average. About 10-30% of the total invoice volume is sent electronically. 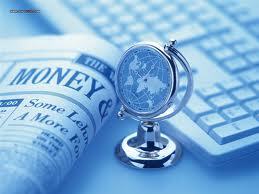 United Kingdom market is adapted to electronic invoicing and provides a lot of billing software. Electronic invoices in United Kingdom (UK) are controlled by HM Revenue & Customs (HMRC). HMRC allows three possible options for providing authenticity of invoices, which also are allowed by EC directives. Electronically sent invoice have to be either signed with electronic signature, sent using EDI or be ensured differently. The channel for invoicing could be chosen by company. The main necessary request is security of the invoice during transfer to your business partner. With good billing software you can be sure, that the data in your invoices will be safe and will reach your customers. The law doesn’t compel somebody to send electronic invoices. However, we all know that avoidance of paper invoices would let us to save money and the environment. People, who once have tried billing software, most probably would never return to manual invoicing. Different invoice formats are allowed in United Kingdom. So whatever billing software you choose, you can invoice your customers without any obstacles. Electronic invoice should contain the same obligatory information as paper invoice. If you are invoicing you cross-border partners, then the price could be in any currency, but the amount of your VAT due should be shown in UK national currency. Before you buy some billing software, check if it is possible to set different currencies for your invoices.